While the Southern Hemisphere basks in the warmth of summer and the north dusts off the fireplaces, the exciting world of events continues – an unstoppable force of travel-worthy destinations and attractions. Round out your year with one of these illuminating events this December. Lyon adds a sparkling attraction to central France in the midst of winter with this four-night festival of lights. While the 2014 details are yet to be finalised, visitors can expect something similar to Vivid Sydney, only doused in French culture in a vibrant European city. There will be more than 70 light installations dotted around the city, its buildings and green spaces. Millions are expected to wander the ethereal streets, French and foreign alike, to see the colours set amongst the wintry night sky. Last year, the Parc de la Tete d'Or was light up with hundreds of golden orb lanterns set amongst the trees while colourful Lotus lanterns floated in the water below as part of the Chinese Corner. In 2010, the Jardin du Musee des Beaux-arts became an urban jungle, where the trees and branches were lit from below with unearthly green and blue lights, creating an unreal space of natural shapes and unnatural light. 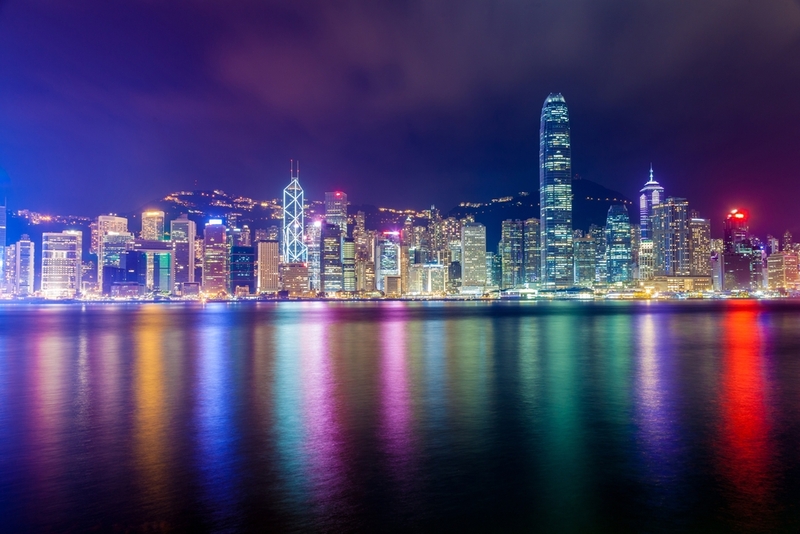 To celebrate both Christmas and countdown to the New year, Hong Kong puts on a glittering display of festivities on a grand scale throughout the city. Known locally as the WinterFest and sponsored by the Hong Kong Tourism Board, there are a number of unmissable attractions every year. The central city is the heart of the celebrations with a massive 18-metre decorated Christmas tree, a brightly coloured carousel, a candy shop, Santa's house, a bridge of true love and a Tiffany Funland – all sponsored by jewellery giant Tiffany, and all with free entry. Hong Kong's Disneyland also embraces the spirit, playing up the magical winter atmosphere and adding more lights an magic to the attraction than usual. Also taking part is Madame Tussauds Wax Figure Gallery, Ngong Ping 360, Hong Kong Ocean Park, Hong Kong Wetland Park and Sky 100 Hong Kong Observation Deck. Aim to be on the banks of the Victoria Harbour on New Year's Eve for the best view of the spectacular fireworks that will both bring the festival to a close and welcome in 2015. At its heart, Cusco's Santuranticuy Festival in Peru is a large market in the main square, Plaza de Armas. This is an event for lovers of history, culture and gorgeous hand-made trinkets. It started in the 16th century from Franciscan Friars, and today stands as a local favourite for events in the area. Locals come from nearby towns and villages to set up their stalls, predominantly selling dolls and items for nativity scenes. You'll also find plenty of local arts and crafts such as wooden carvings and pottery. By night, you'll find traditional nibbles and drinks, such as the delicious rum punch – ponche – which is served hot and sweet to keep those hands warm as you peruse the stalls. Translating as the Sugar Cane Fair, this Colombian festival in Santiago de Cali is where you will learn to live life like a local, enjoying horse riding, parades, concerts, salsa dancing and more. What began in 1957 as a traditional Spanish bullfighting celebration has slowly adopted more of a street carnival atmosphere, and today is much more of a salsa celebration, giving it the alternate name of the Salsa Fair. Head along to be swept away in the many concerts featuring some of the world's best salseros and singers from Puerto Rico, Cuba, Venezuela, the United States and Europe. Be sure to dine at the tascas, the temporary restaurants that pop up all around the city, built of wood and serving everything from traditional Colombian fare to international meals. In the past they have been found on the banks of the Cali river and at the Parque del Amor. If you can't quite bring yourself to face a winter in December, New Zealand's premier December event in Gisborne may be the one for you. More than just a New Year's Eve festival, this is one of the Southern Hemisphere's largest music gatherings, all held in the picturesque east coast of New Zealand. International acts such as Bastille, Chet Faker, Netsky Live, Danny Brown and more are booked in for this year's event, which sees several days of live performances amongst the grape vines of Waiohika Estate. One of the most special aspects of this event is the chance to wake up early on January 1 and watch the sunrise. As the most eastern point of the country, Gisborne is the first city in the world to welcome the rays of the first sun of the New Year – and there's hardly a better way to kick off 2015 than that. December is shaping up to be an exciting month for adventurous travellers, so which event (or events) will you attend?